Protesters carried banners opposing WestConnex, toll roads and instead called for new heavy rail lines to be added instead of the Bankstown Line being replaced with Metro. 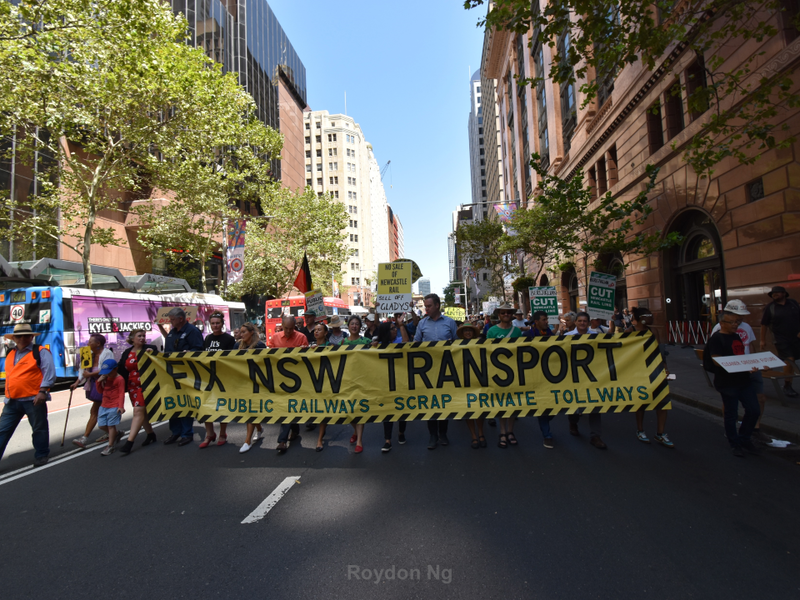 The government’s decision to build the F6 motorway extension instead of rail upgrades in southern Sydney and pay conditions for transport employees were also big issues on the protesters agenda. 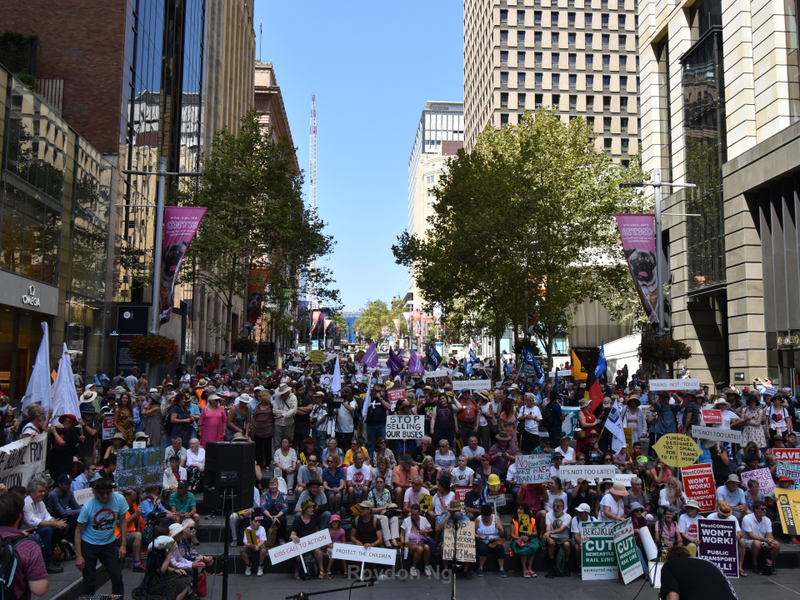 The rally shut down city streets with the approval of bus drivers honking their support as protesters marched from Hyde Park to Martin Place past an under-construction Metro station. Premier Gladys Berejiklian and Transport Minister Andrew Constance were the focal point of community anger as negotiations with the Rail, Tram and Bus Union continues. “The Premier has just stopped listening to the people of New South Wales” says Alex Classens, leader of the rail union. 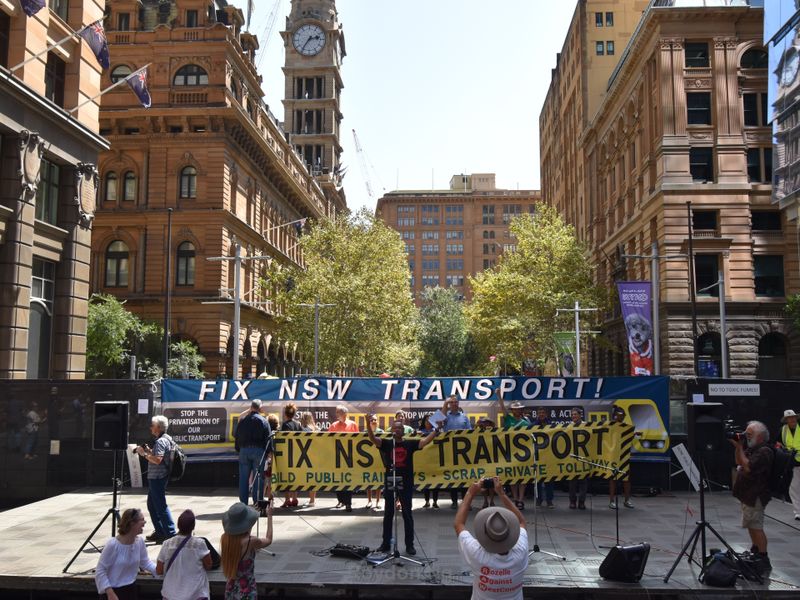 Groups rallying today included No WestCONnex: Public Transport, Ecotransit NSW, Restore Inner West Line, WestCONnex Action GroupSydenham to Bankstown Alliance, F6 Action, Save Our Rail NSW and others from the north, south and west of Sydney. All of the community groups and speakers are demanding that the government listen to the concerns raised. Some protesters were additionally upset by the replacement bus services with city trains not stopping at some stations today. 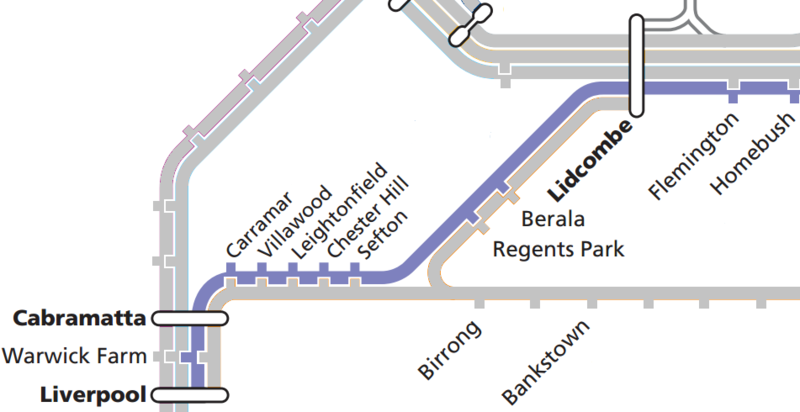 Peter Olive, a campaigner from the Sydenham to Bankstown Alliance expressed the community’s opposition to the conversion of the Bankstown Line which he described as “fully functional” to Metro. Highlighting the benefits of providing areas of Sydney without trains with a new line, he also said that over development was a major issue for the local area. 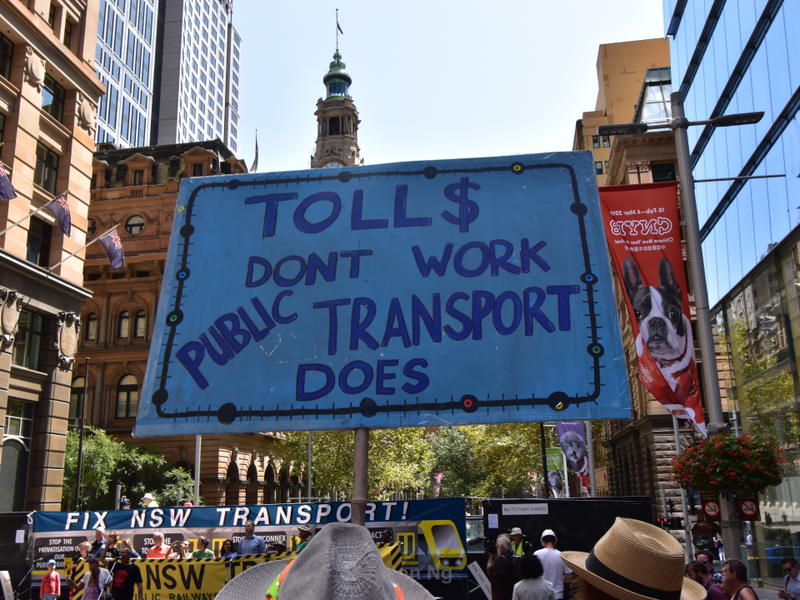 Mary Court, secretary of Penrith Valley Community Unions, told the crowd gathered at Martin Place that private toll road building were “sucking billions” out of public transport and warned Premier Gladys Berejiklian not to “mess with the west”. Premier Berejiklian told journalists that she is proud of the way her Government is building new transport projects around Sydney. 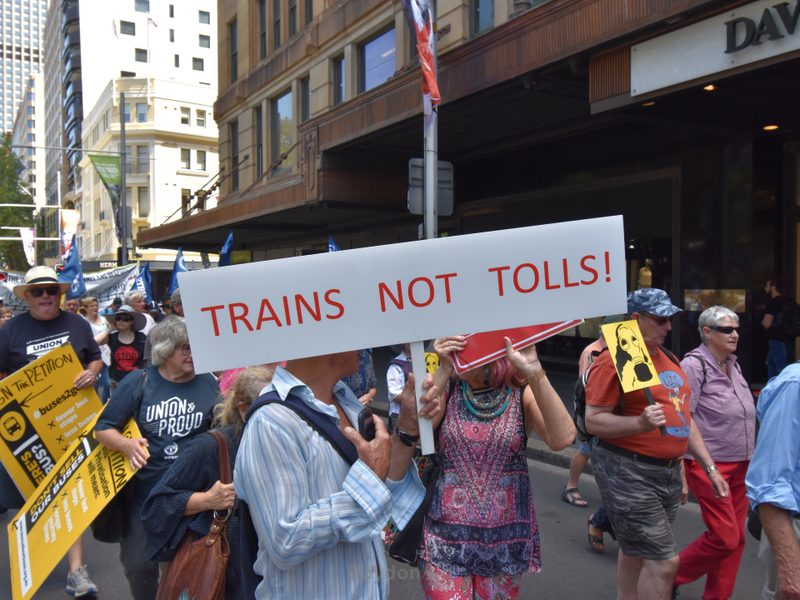 Restore Inner West Line participated in today’s protest against the government’s preference for toll roads instead of upgrades to rail in the Cumberland Council, Canterbury-Bankstown Council and Liverpool Council areas. 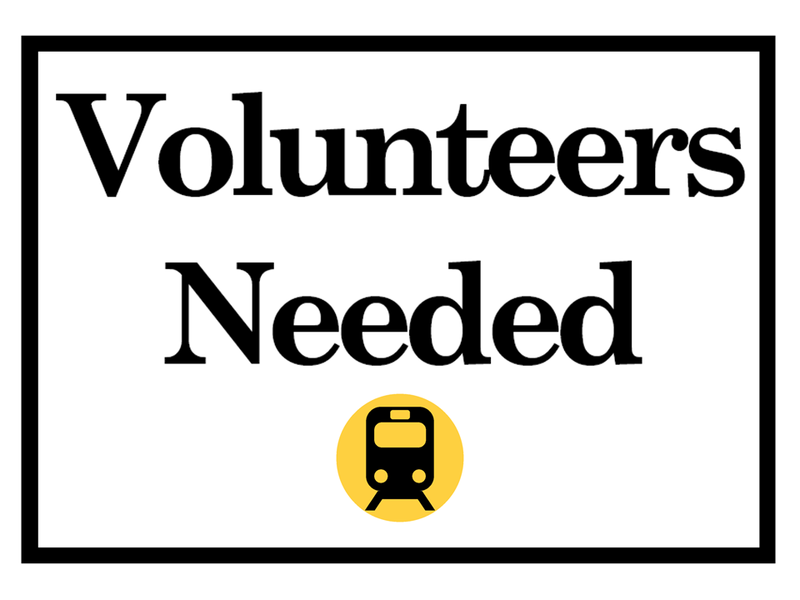 Our community action group also opposes cuts to the Bankstown Line and believes that public transport should be a priority over motorways.